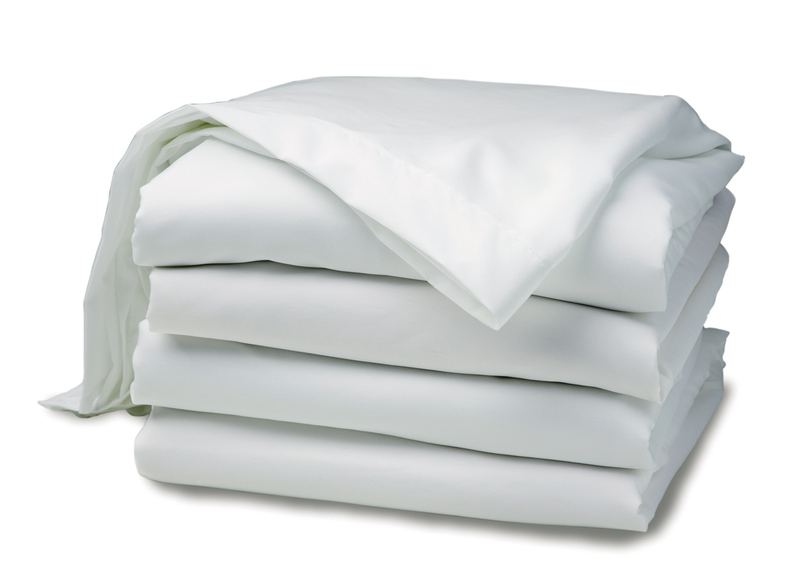 Allergens and irritants have no place between the sheets. And to keep them out, we’ve developed a unique technology that prevents dust, dust mites, and associated allergens from entering your bed. 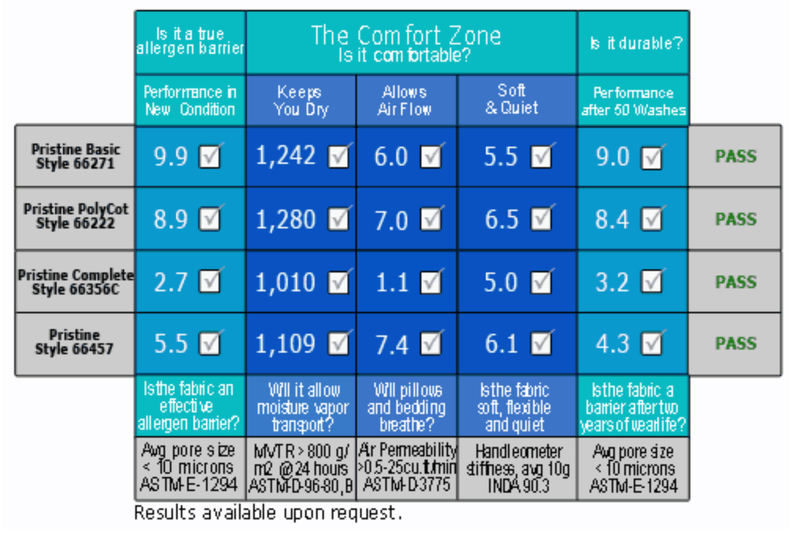 It’s a barrier so effective, only air and moisture vapor are capable of passing through. Thanks to this revolutionary bedding, allergy sufferers have never slept more comfortably or been so well protected from irritants. Meet Dusty, the dust mite. Here, he sits on top of Pristine fabric. Try as he mite…er a, sorry…he just cant find a way to crawl through Pristine. This photo provides the best evidence of how Pristine fabrics work! But, let us prove it to you! Pristine fabrics are constructed of very tightly woven yarns, specially selected to give the best balance of softness, comfort, and color fastness. Our unique finishing process allows these finely-textured yarns to create extremely small pores in the fabrics. Such micro-pores allow air and moisture vapor to pass through, but small enough to form a barrier to dust, dust mites, and associated allergens. 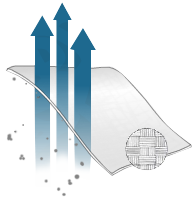 Pristine fabrics are not coated, laminated or otherwise given any finish that can come off during use. 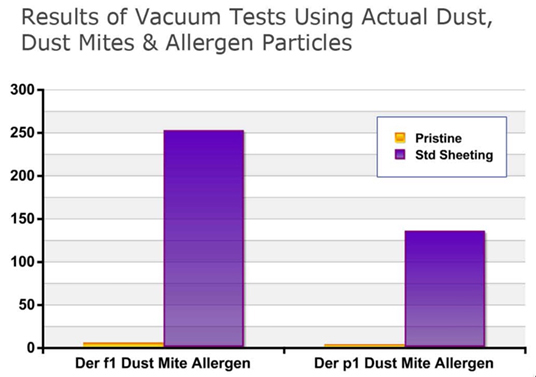 IBT Reference Laboratory, to ensure allergen barrier performance.